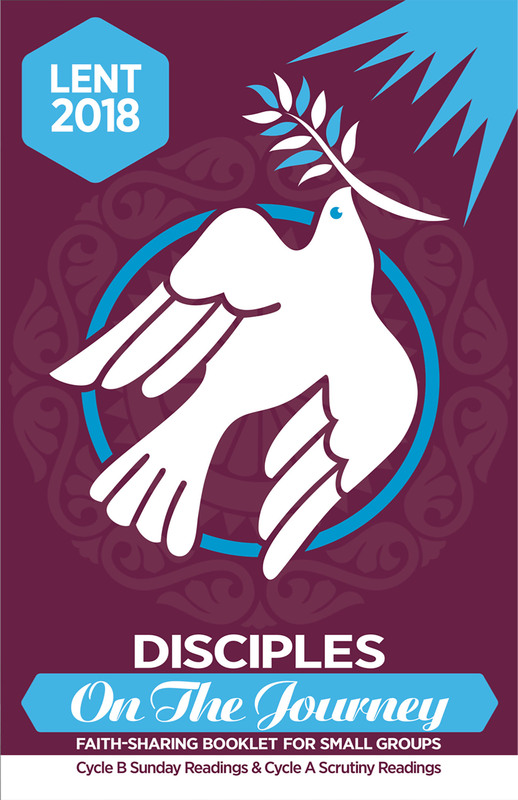 Disciples on the Journey is a Catholic bilingual (English and Spanish) Lenten lectionary-based book using the Cycle B Sunday readings as well as Cycle A weeks 3-5 Scrutiny readings for faith sharing in small groups and/or for individual personal reflection and prayer. Each week there are opening and closing prayers, a commentary on the Sunday readings, faith sharing questions for reflection, suggestions for living as a disciple, and a brief life of a saint for inspiration. Pope Francis tells us that at the basis of everything is the word of God, which during the season of Lent we are invited to hear and ponder more deeply. Disciples on the Journey can help the Lenten Scriptures proclaimed each Sunday come alive because we have prepared ourselves by prayer and reflection to hear God’s Word.